Welcome to one of my favorite days of the month…and this month we have so much to share. 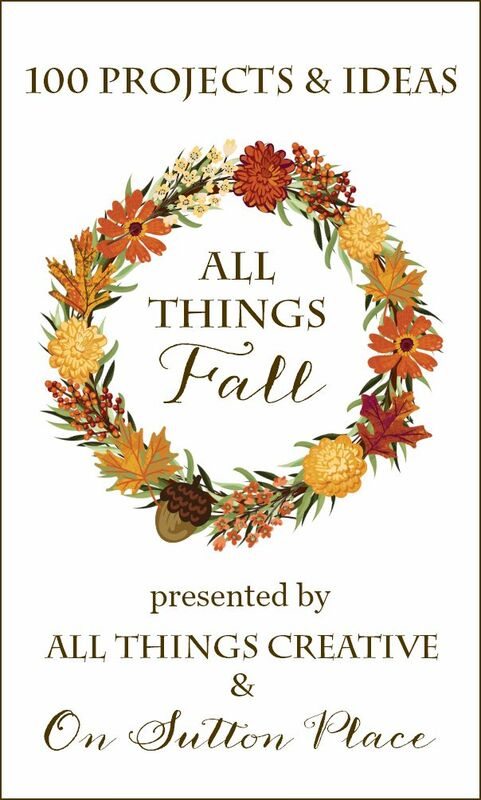 My All Things Creative team has gathered their best Fall projects and each one can be found below. 100 DIY Fall projects and crafts…plus recipes and a bit of decor too. Before we get to that though I want to remind you who the girls are who make up our ATC team. These nine women have been here with me every month, for almost two years, without fail. They are, quite simply, the best. If you haven’t started thinking about Fall yet then today is the day. Pour your cup of coffee or tea, sit and look around. I know you will find something you like. Enjoy! from Artland Downloaded on Etsy. Just wanted to say how much i love reading your blog. I live in the UK and first came across you when i wanted to clean silver the easy way. I love your home and ideas and think you come across as a very sweet, friendly person. Ann, I totally love everything you make and the way you decorate! Lots of fabulous ideas, and all the food looks amazing! 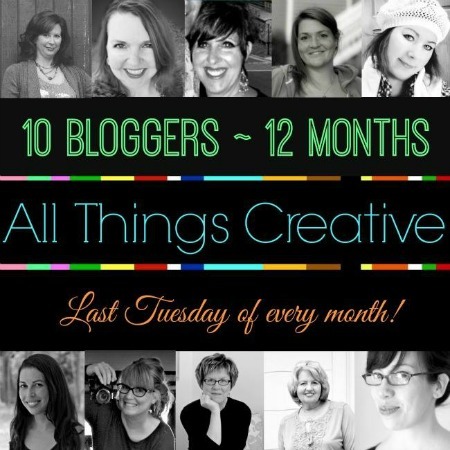 I will definitely be using some of these recipes:D Thank you, Ann, and ladies, for sharing such a great list! I can’t wait to get started decorating for fall. Tomorrow will be our first taste of fall like weather. So, off to Michael’s I go! Are you sharing the wonderful fall wreath that you made? I didn’t see a link to it and would love to use it, if possible. Thanks for all of your great ideas!!! Hi Lani! What wreath do you mean? It is still way too hot in sweltering South Florida to put out Fall decor but once I get a week in Northen Michigan next month I’ll be in the Fall mood ???? I wanted to share that last year I made your DIY Pottery Barn inspired Fall Wreath pillow! It is gorgeous. I hosted a ladies Bible study all season so I used the coasters as coasters and then our grandson loved playing with them and a few went missing ???? but in late Winter I finally found them all and got the pillow made. I can’t wait to use it this year. A beautiful, creative project Ann. Thanks. Hi Pamela! Thanks for letting me know…enjoy the pillow!